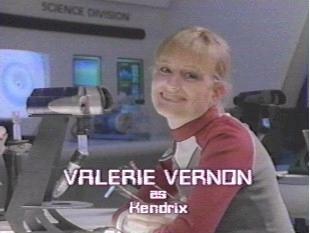 Brainy beauty Kendrix was a scientist working at Terra Venture's GSA Division. She first met Leo when he accidentally knocked her down avoiding capture on Terra Venture. Kendrix was very intellectual and had a great thirst for knowledge of the universe. She dreamed of the day when Terra Venture finally finds a new world for humans to populate. 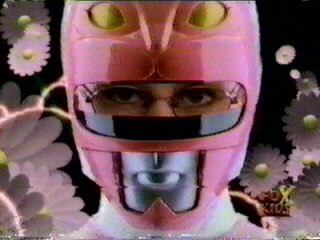 Kendrix became the Pink Ranger when she pulled the Pink Quasar Saber from a stone on the planet Mirinoi. When Psycho Pink created an energy storm that threatened to destroy Terra Venture, Kendrix sacrificed her life to stop it. Her Quasar Saber was retrieved from the hands of evil by Karone, the former princess of evil Astronema, who used it to transform into the new Pink Ranger after Kendrix's spirit asked her to. 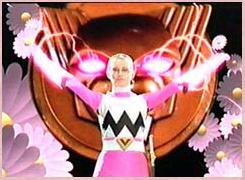 The power of nature lay within Kendrix when she transformed into the Pink Ranger, and her Zord was the Wildcat Galactazord. Kendrix currently resides on Mirinoi along with the rest of Terra Venture's inhabitants. 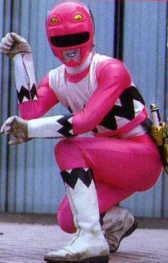 She was brought back to life when the Rangers placed the Quasar Sabers back into the stone, and resumed her role as Pink Ranger for one adventure when the Galaxy Rangers travelled to Earth to help the Lightspeed Rangers defeat Trakeena.